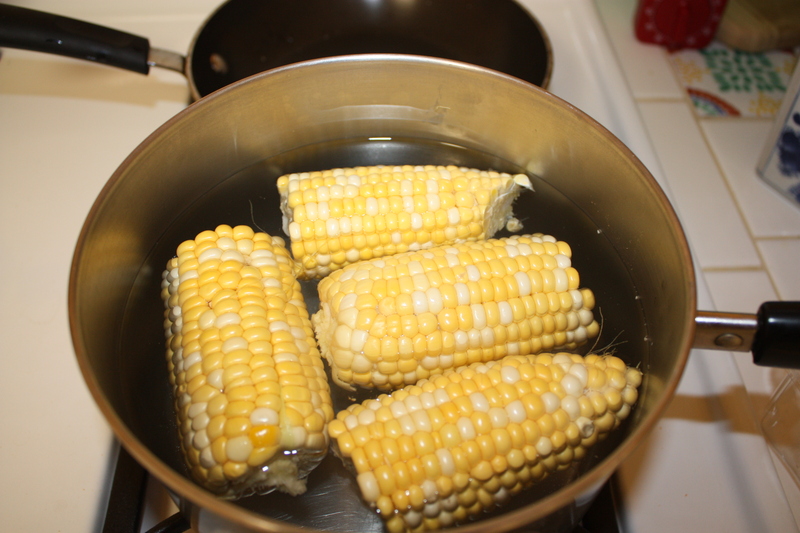 Let’s begin by boiling up that corn. It will take a little while, so start this step first. Take your olive oil and put it into a small saucepan. We are going to essentially “infuse” the olive oil with garlic so that you still get a garlic flavor but it won’t be overly pungent and intense! Add the garlic and heat it until its golden brown. 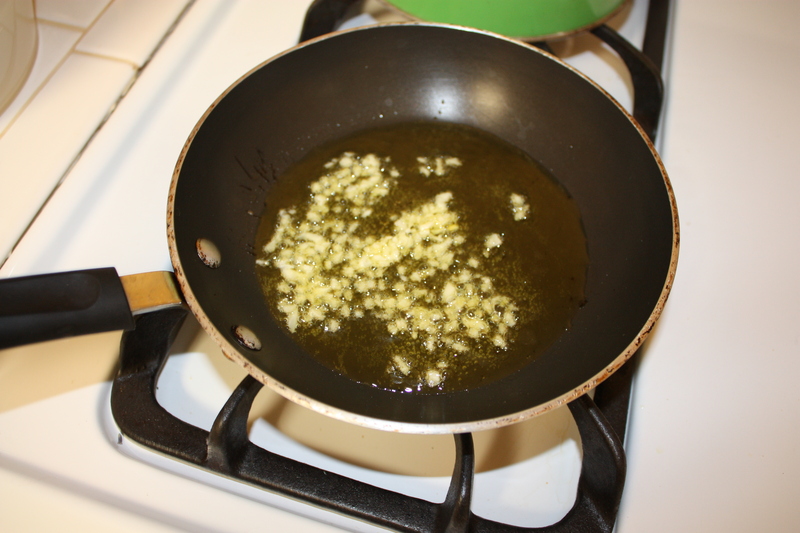 Don’t heat it on too high of a heat because the oil will continue cooking the garlic even after it’s off the flame and it will char! 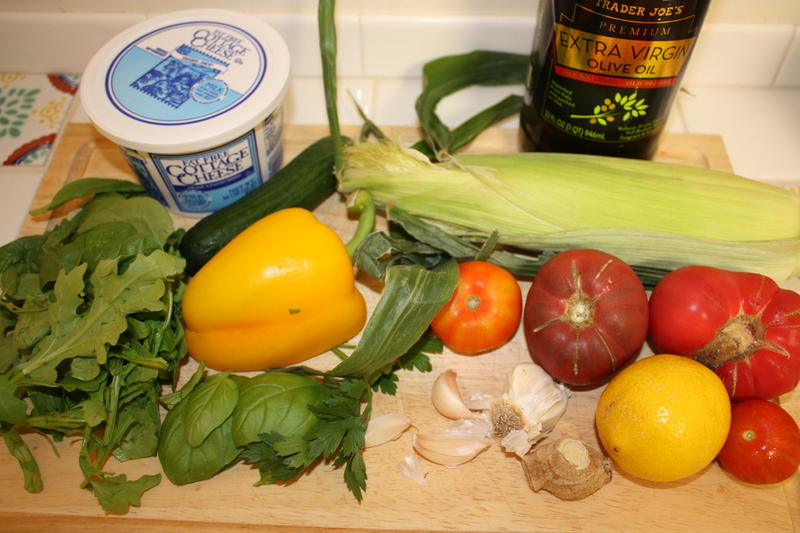 Wait until the olive oil is cooled then pour it into a small, separate dish. 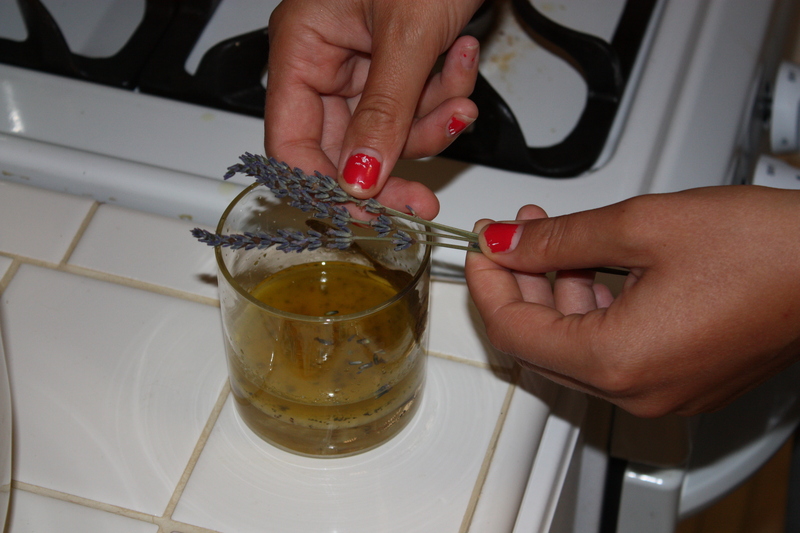 Then take your lemon and squeeze it into the dish, and add your ginger and lavender. 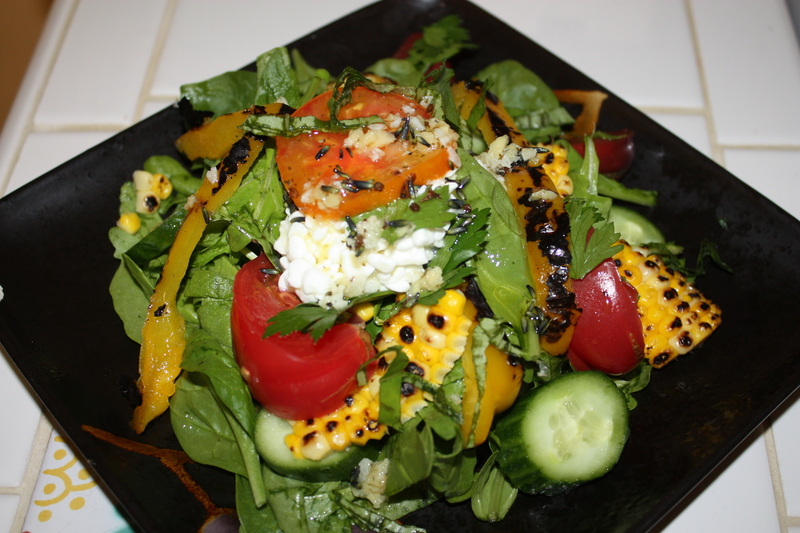 A little dash of salt and pepper, and there’s your salad dressing! As if these veggies weren’t colorful enough, we are going to give this dish even more colorful zest, with some added flavor… Using a pair of tongs, take your bell pepper and put it over the open flame of your stove until it gets some nice grill marks. 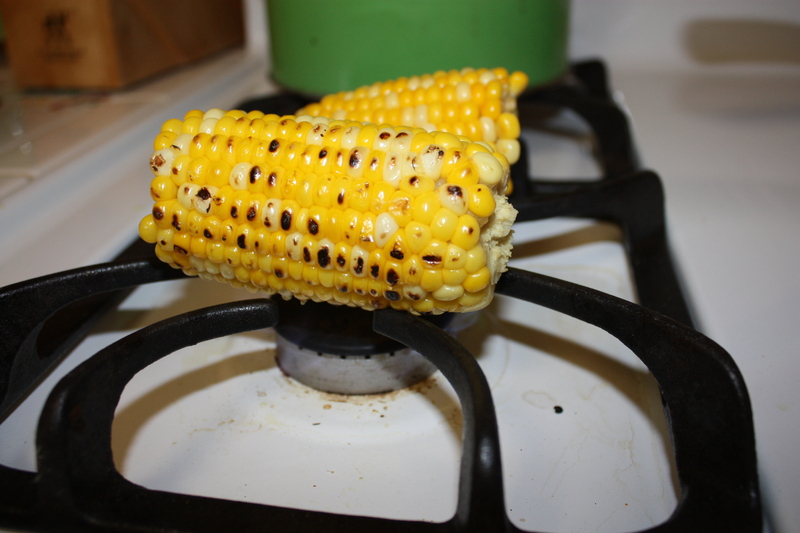 Once your corn is finished, you will also grill it over the open flame. Don’t be alarmed if it makes a few popping and snapping sounds! 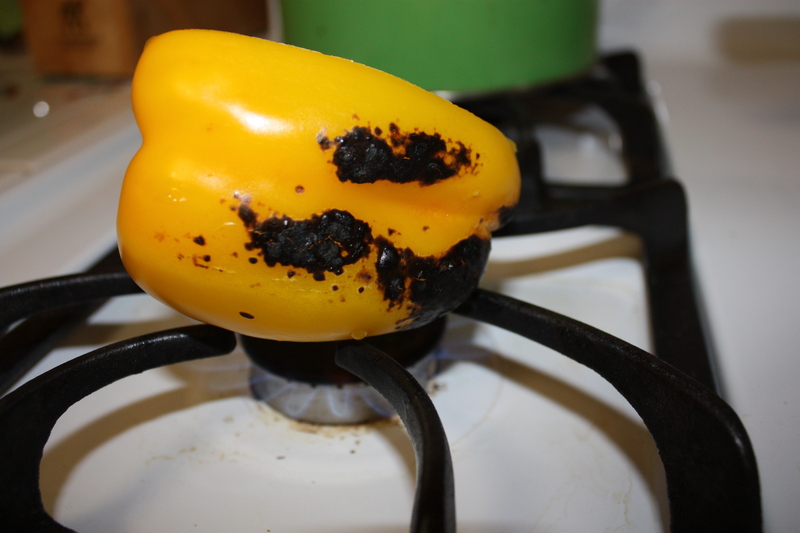 The corn will take less time to blacken than the bell pepper, and it will dry out if you leave it too long, so keep an eye on it. 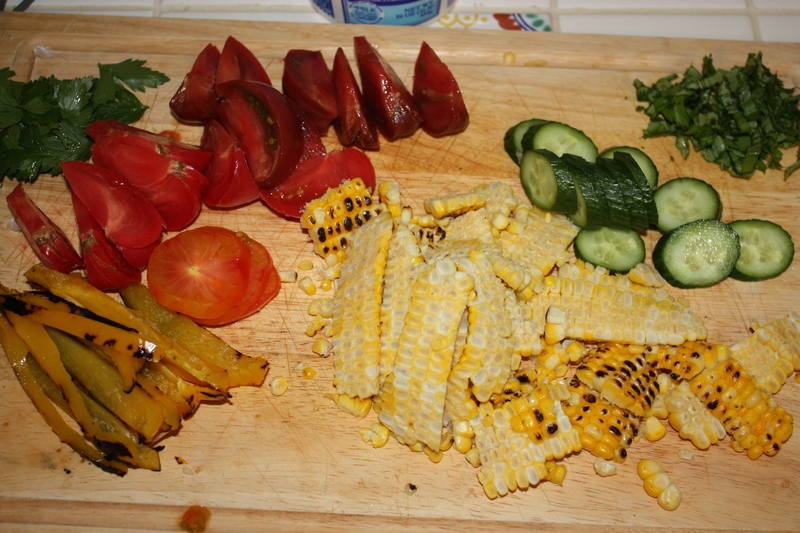 Time to chop up all your ingredients… cut the heirloom tomatoes into wedges, cucumbers into thin slices, corn shaved off the cob, bell pepper into strips, and basil into thin pieces. Throw all your ingredients into a large bowl— all your chopped veggies, parsley, arugula, spinach, cottage cheese, and salad dressing. 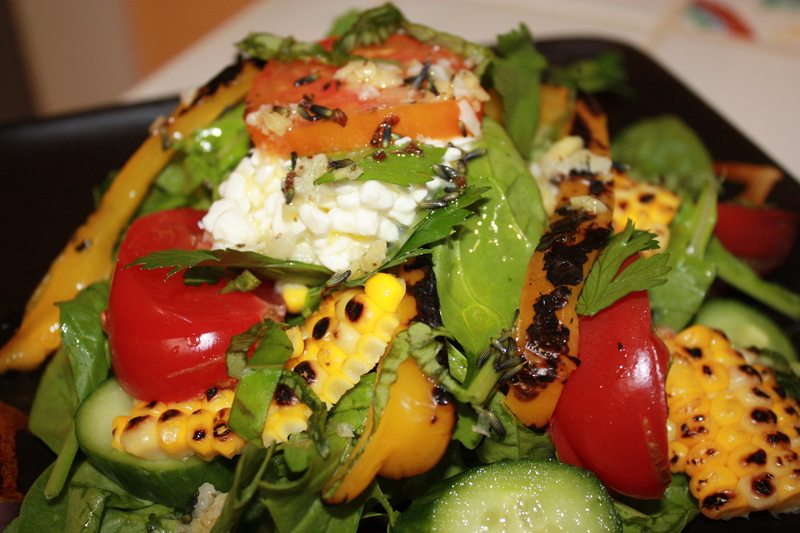 Mix everything together, and sit back to admire your vibrant summer salad!